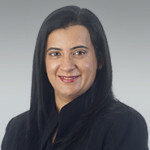 Vinita Mehra, a director and Asia-Pacific team leader, has been selected as a mentor for Columbus Business First's new program, "Mentoring Monday." This inaugural program will bring together women from diverse backgrounds of central Ohio's business community, and provide coaching sessions and conversations for those in attendance. The April 7 event is part of a larger effort to engage women who have an impact on the corporate community. Vinita is continuously active in the community and believes in the power of giving back in ways that make a meaningful difference. As a board member for the Asian Indian American Business Group and Greater Columbus Sister Cities International, Vinita is devoted to providing her time and insight to meet the needs of each organization for which she volunteers. In a recent interview with Columbus Business First, Vinita described her best piece of career advice as one given by her father. "He told me 'there is a difference between being rich monetarily, and rich in life," said Vinita. "One should devote time in gaining wealth of knowledge, which would lead to richness in life."